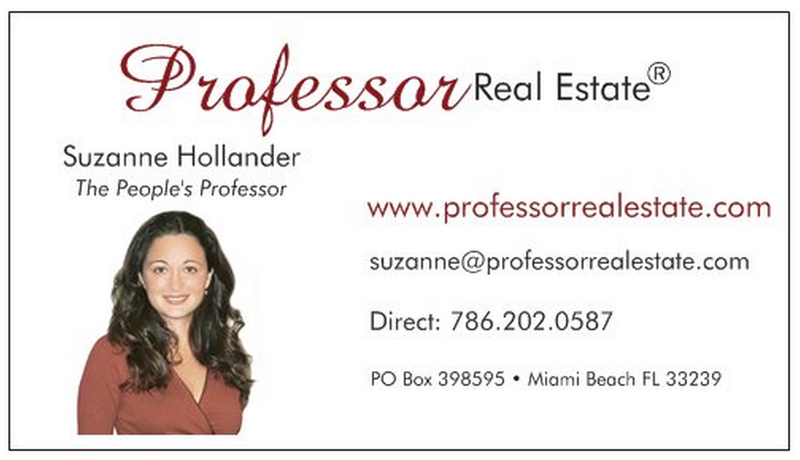 Suzanne Hollander Professor Real Estate® hopes for change, property rights in Cuba. Double click photo to watch video & read below to learn signs-of-hope-for-property-rights for people who live there, whose property was taken & who consider investing. 3 days ago, Suzanne Hollander, real estate commentator, broker & lawyer visited Cuba, as member of the largest delegation of U.S. lawyers to visit in over 50 years. Suzanne Hollander’s Cuban home visits were the most memorable property visits she’s had, whether in her role as a property attorney, broker or professor. These property visits would not happen on a house-hunt in the U.S. In Cuba, Suzanne visited family homes of mentors and friends she respects. In the 1960s, the Cuban Government took their homes & property. 1 – For the first time in years, some Cubans are allowed to sell their homes. Sales are regulated, risky & the market is small. 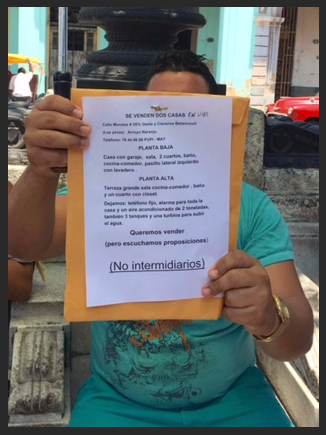 On Saturday, Suzanne visited a “market” on the Prado (a Havana Street) where property owners hold hand-made signs of sales /rentals for buyers/renters to see. This market is not the Multiple List Service or LoopNet, but it’s the start of something. 2 – One of the most important U.S. Developers was on Suzanne’s short 45 minute flight from Miami to Cuba, with business partners. 3 – 30 U.S. Attorneys chose to participate in this trip. Property Rights and confidence in property ownership are fundamental to a functioning society and there is hope in the air for Cuba. This hope extends to Cubans living in Cuba, Cubans whose property was taken and foreigners who want to invest. To learn more about the importance of property rights to nations around the world, and the hope for property rights in Cuba, contact me, Suzanne Hollander Professor Real Estate® . Thank you to my friends who included me on their personal visits to their family homes and thank you to Peter Quinter, Florida Bar Chair of the International Law Section, who organized the history-making, memorable trip.